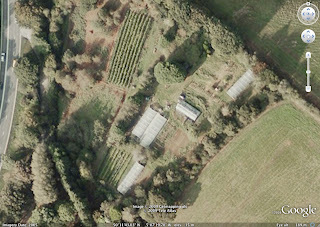 Thought I would download a pic of the garden from google earth – obviously taken when the garden was in good repair, polytunnels with poly! glasshouse with glass! Our is the wedge to the right of the path that runs alongside the vines on the left.